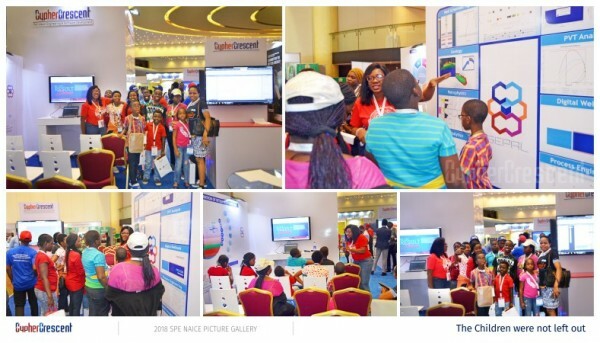 CypherCrescent is pleased to have participated in the 42nd SPE NAICE held at Eko Hotels & Suites, Victoria Island, Lagos. 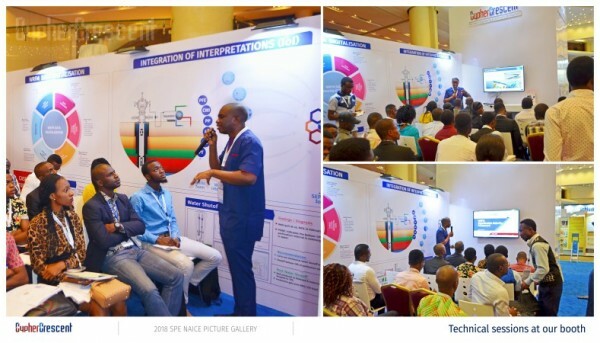 Conference delegates were fascinated with our advanced technology – Integration of Interpretations (IoI) and its benefits to the entire oil and gas production system. 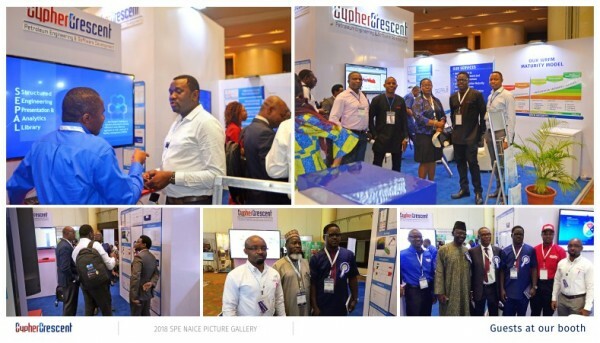 Our technical director, Mr ThankGod Egbe was one of the panelists on the theme “Digitalisation As an Enabler for Economic Diversification”where he discussed our advancements in technology as a key enabler to digitalisation in the oil and gas industry. 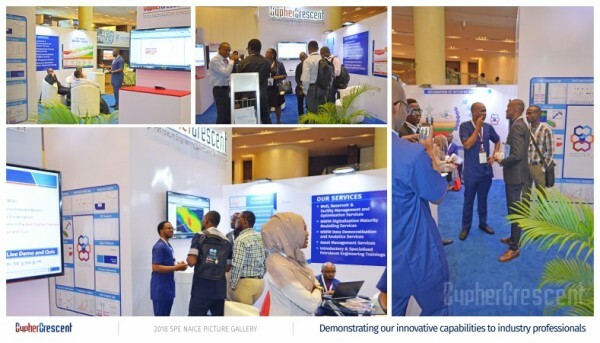 Top management and executives of E&P companies seeking to improve their asset management efficiency,commenced discussions with our team on how our innovative WRFM technologies could be harnessed to optimise their asset value. 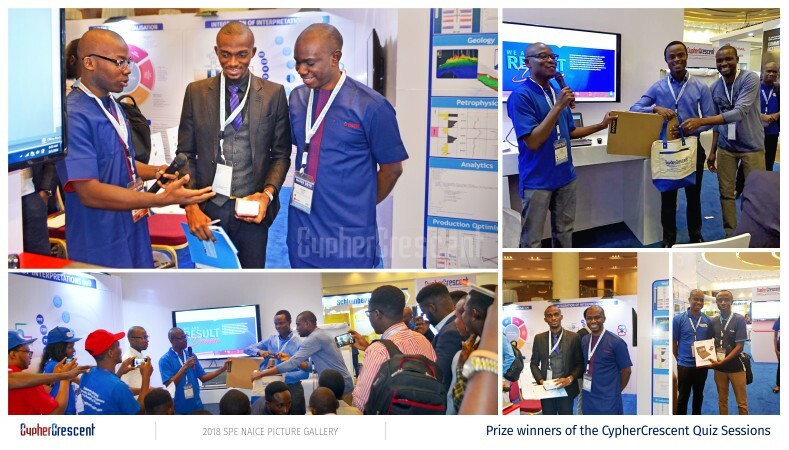 Young professionals and students were not left out as there were quiz and career sessions with lots of exciting prizes won.